It forces students’ have better teamwork as its 1 team consists of a minimum of 3 – a maximum of 6 people. It compels students’ to think fast on their feet because at least half of their debate topics is released about 15 minutes before the round. It improves students’ impromptu speaking ability because their topic is different each round. Each debate round has two three-person-teams. The first speakers of each sides deliver the constructives either representing the Government or the Opposition Party. Then the second speakers of the each sides rebuts, and the third speakers of the each sides concludes. How is British Parli Debate Different from the U.S. PF, LD, Policy Debate? No Crossfire, but POI: Unlike the U.S. Style debate such as PF, LD, and Policy, there is no designated time for “crossfire” in the Parliamentary debate. Instead, all speakers are expected to interrupt their opponents’ speech with Points of Information (POIs). However, the POIs are usually rejected by saying “no thank you,” except for about 2 times average during the 5-8 minute speech, each POI usually lasting no more than 30 seconds. Less Stress on Evidence, More about Persuasion: Successful Parli debaters are eloquent and cogent speakers who don’t rely on evidence very much. In fact, they cannot, as their topics (motions) are given to them 15 minutes before a debate round, making it impossible to research in advance. Thus, even for preannounced motions, Judges also hardly ever check the debaters’ evidence for credibility. Speech Style is #1 Voting Issue: Judges are trained to award more points for speech style – i.e., fluency, volume, organization, and even humor – as opposed to argumentation. This doesn’t mean argumentation is not important, as it is also an important voting issue for Parli. However, compared to the U.S. style debate, there is less emphasis on evidence and research. Coached by Julian Gagnon, ADL’s first WSD team participated in 2017 WSD Invitational hosted by NSDA, and ranked the top international team with a record of 3:3. In fact, this was the best ever record for Taiwan WSD team, as prior teams’ best record was never higher than 2:4 in the world stage. Team members (Brandon Chen, Kelly Phil, Gene Chou, Eliot Wang) qualified by winning in PF event in 2017 NSDA Taiwan District Tournament. Round 1: This House regrets the rise of alternative media. Round 2: This House supports compulsory climate science education in secondary schools. Round 4: This House would increase sanctions on Russia. Double Octafinals: This House believes that the commercialization of feminism has been detrimental to the movement. Finals: This House regrets the rise of global populism. John’s coaching style reflects his personality; energetic, passionate, honest, encouraging, and understanding of his student’s needs. While studying communication and marketing at San Diego State University, John was introduced to the world of debate. Taking courses in Argumentation and Persuasion, he joined the parliamentary debate team where he competed on the SDSU squad for two years. His competitive nature led him to pursue an opportunity to work in Beijing, China, coaching high school students in the art of speech and debate. Contracted to various high schools, John is experienced in coaching national champions and beginners alike. The result of his tenure in Beijing yielded two NSDA China championships in Public Forum (PF) debate, with several regional championships in PF, as well as Original Oratory (OO). Outside of debate, John satisfies his competitive spirit through chess, basketball, tennis, football, and soccer. In his spare time John also participates in improvisational comedy, which contributes to a class atmosphere of fun and engagement, while still teaching the foundations and strategies needed to be successful as a debater. 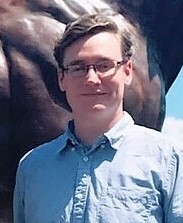 Mike Girouard started debating in High School where he qualified for the State tournament and was a participant in elimination rounds at most every tournament he attended. While in college Mike qualified for the NDT and reached elimination rounds at most Policy College Tournaments. He also competed in and qualified for elimination rounds for Texas Undergraduate Moot Court Association State Tournament and was awarded Top Speaker Honors. Mike was also one of the top US teams to compete at The Worlds Universities Debating Championship. He has coached at the High School Level at Highland Park High School (TX), Connally High School (TX), and Coppell High School (TX). During this time he qualified numerous teams into the elimination rounds as well as top speaking awards. Mike has also coached at the collegiate level for the University of Rochester (NY), Kansas State University (KS), Baylor University (TX), The New School University (NY) and most recently at Augustana College (IL). While coaching in college he coached teams to elimination rounds and speaker awards at nearly every tournament and qualified teams to compete at the National Debate Tournament. Mike has a love for all forms of debate and experience teaching and coaching several forms of Individual Events. Asian Debate League is the Exclusive Agent in Taiwan of the following coaches. Please contact ADL if you are interested in taking their classes. Julian Gagnon was a champion debater in high school and college. Originally from Florida, Julian was a TOC policy debater before accepting a scholarship to debate at UNT. At UNT he reached the elimination rounds at most national tournaments and participated in the Kentucky Round Robin. Having coached for Highland Park (TX), Grapevine (TX), and college programs including Augustana, and University of North Texas, Julian has worked with numerous award-winning debaters, and has coached in late elimination rounds of virtually every major national-circuit event in the country, including the Tournament of Champions, National Junior Forensics league, and the National Debate Tournament. He was part of a coaching staff that produced the top college debater at the National Debate Tournament. His team was the focus of the 2007 documentary film Resolved, and he is considered one of the brightest young argument coaches in the U.S. Julian is a co-owner of pfdebate.com and a researcher for various institutes. ADL Parli Class Time is Saturdays 4:45- 6:45 PM.